An interactive website developed by health psychology and primary care researchers at the University of Southampton has been shown to reduce dizziness amongst adults aged 50 and above. Results of a study into the effectiveness of the new Balance Retraining site show patients had significantly lower levels of dizziness symptoms after three and six months than those accessing standard care from their GP. After three months, 40 percent of people using the site reported that they felt ‘much better’ or ‘completely well’ – twice as many as in the GP care group. Dizziness affects nearly one in three people aged over 65 in the UK and is often caused by problems with the vestibular (balance) organ in the inner ear. 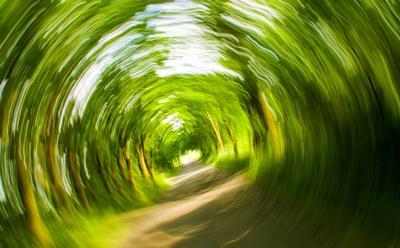 Patients with ‘vestibular dizziness’, such as those examined in this study, can suffer severe symptoms, triggered by simple everyday movements like turning over in bed, or looking left and right to cross the road. These symptoms are very disruptive – leading to falls, anxiety, depression and loss of independence. The recommended treatment is a simple exercise-based therapy called vestibular rehabilitation, which involves nodding and shaking the head. Previous research has shown that patients using this therapy are nearly three times more likely to reduce their dizziness than those who don’t. However, very few people who report dizziness to their doctor are referred for this type of treatment, so there is a real need to improve access. Researchers at the University of Southampton developed Balance Retraining to address this problem and help people with dizziness to carry out vestibular rehabilitation exercises via the Web – using video demonstrations, instructions and personalised feedback and advice. The Balance Retraining study included 296 patients with vestibular-related dizziness. These patients were randomly assigned to either have immediate access to the website, or to continue with usual care from their GP. The complete findings are published in the journal Annals of Family Medicine. Balance Retraining can be accessed here and via The Meniere’s Society, or the Vestibular Disorders Association. 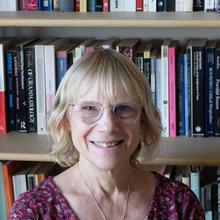 Professor Lucy Yardley is Professor of Health Psychology at University of Southampton and University of Bristol. Dr Adam Geraghty BSc, MSc, PhD, CPsychol, FHEA. 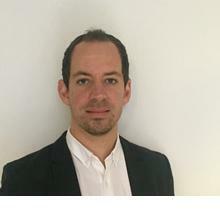 Dr Adam Geraghty is a Senior Research Fellow and Research Psychologist in Primary Care and Population Sciences in the Faculty of Medicine. His research involves the application of psychological science to challenging issues in primary care. Dr Geraghty has led projects to support patients in self-managing problems such as back pain, severe emotional distress and chronic dizziness. He is interested in how digital interventions can be used to deliver and increase access to treatment, and also how they can help researchers understand why interventions work (e.g. mechanisms). Dr Geraghty draws on a diverse range of approaches including randomised controlled trials, cross sectional studies, systematic reviews and qualitative methods to address questions with the aim of improving the health of patients. He is registered with the British Psychological Society (BPS) as a Chartered Psychologist and is a Fellow of the Higher Education Academy.